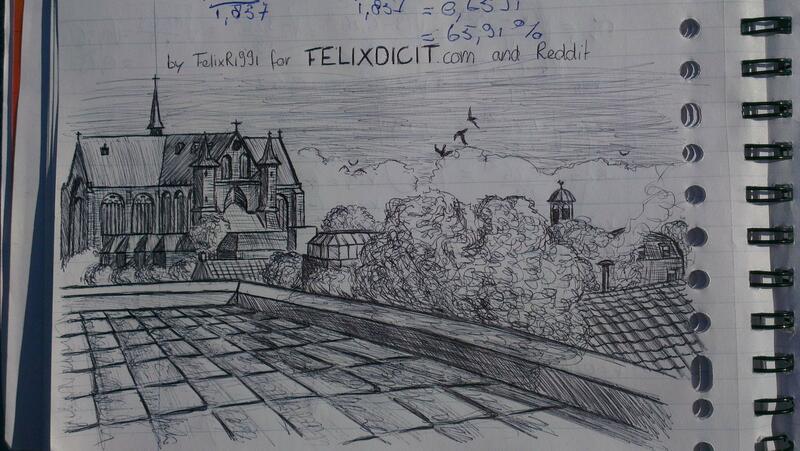 This one has not technically been done during class, but when I was studying on my roof. The university library was closed for some ridiculous Christian holiday, so I had to use this last resort. Note how I wrote down for which sites this pic could be used after the ‘9gag’-deception, where some guy posted my drawing on 9gag and received a lot of praise for it – praise that should’ve been mine. I learned the hard way, but since I was up on my roof, I couldn’t make a watermark with photoshop. Instead I did it like this. Tell me what you think!